Swing sets have existed for decades but just like other products, we need to evolve and innovate. We work tirelessly to stay out front of trends, while researching creative ways to capture the interests of both children and parents alike. Integrated into our product development is a deep commitment to the environment. We don’t discount the need for eco-conscious solutions and we embrace our role to lead by example. For your children’s, grandchildren’s and great grandchildren’s benefit, we appreciate the importance of being committed to a sustainable and renewable forestry. This starts by working with suppliers who are equally committed to preserving the environment and who strictly adhere to our environmental criteria. For this reason, our supplier grows much more redwood than is harvested in the forests, harvesting less than two percent of their forests. In addition to our eco-friendly commitment, we pay attention to the quality of our lumber. At Kids Creations, we only select wood that is of the highest quality with a natural resistance to rot, decay and insects. It’s imperative to us that from the beginning, our swing sets are designed to be durable, stable, and sustainable. 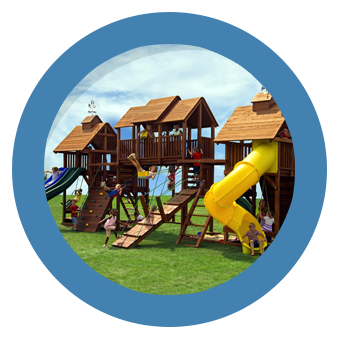 We’ve chosen two kinds of wood that are able to meet the high quality standards of a Kids Creation’s swing set. American redwood and Chinese cedar have proven to be both strong and resilient, in addition to being sustainably grown and harvested. 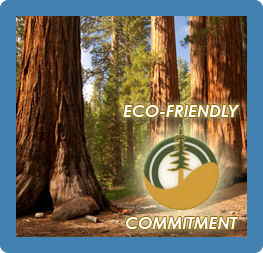 If you have questions regarding our commitment to the environment, the sustainability of our redwood forests or our Redwood and Cedar swing sets, please don’t hesitate to contact us. Signature Series and Premier Series are composed of 100% California redwood.